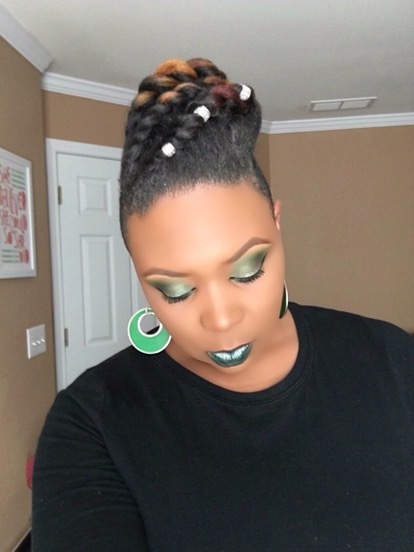 This Morning I wanted to share a super cute geeen makeup and secure protective style using my signature Twist, Pull & Pin technique. I adore the way this look turned out. 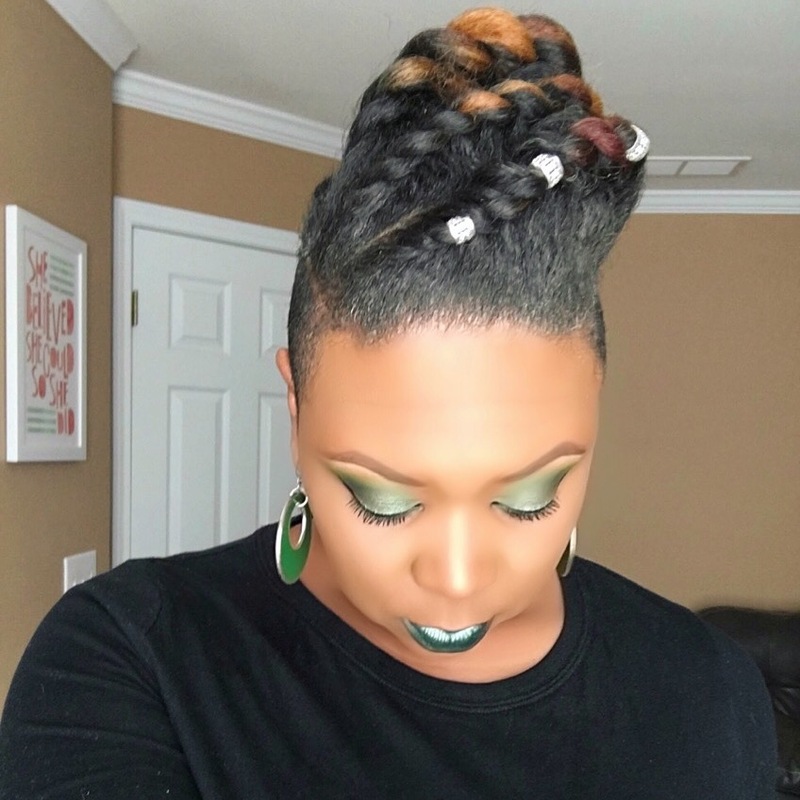 The hair is a combination of 4 flat twists and ai added some hair jewelry for a little more flare. With the use of a little edge control and by wrapping it up every night with a Satan scarf this style can probably last a full week with no problems. If you’d like the step by step watch the full tutorial here. Oh! 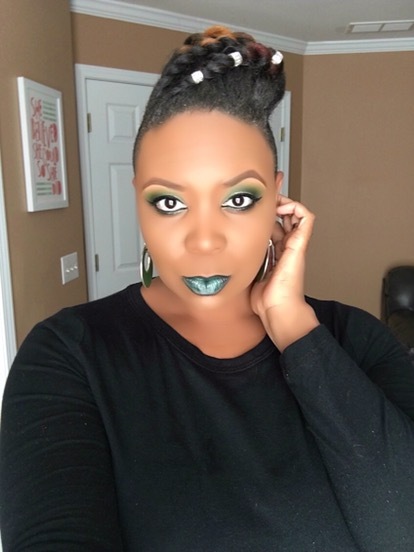 And as for this monochromatic green makeup look I used my usual 120 color BH Cosmetics Palette. And the pretty green lippie is from the nyx cosmetics Wicked Lippie collection and is called Risqué. It’s crazy bold but beautiful, I think.